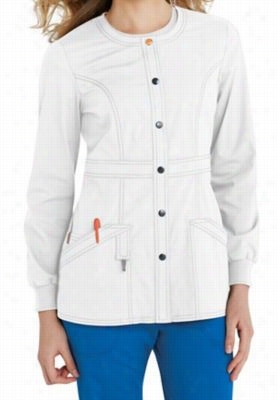 OGIOÂ - Ladies Moxie Jacket. 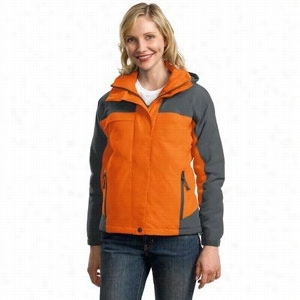 Port Authority Ladies Nootka Jacket. Port Authority Ladies Successor Jacket. Infinity by Cherokee zip front warm up scrub jacket with Certainty. - White - 5X. 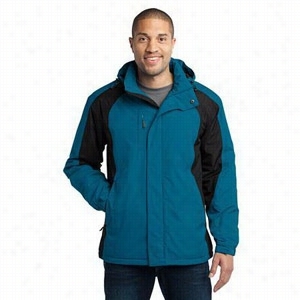 This sporty warm-up jacket is perfect for the medical professional constantly on the go! 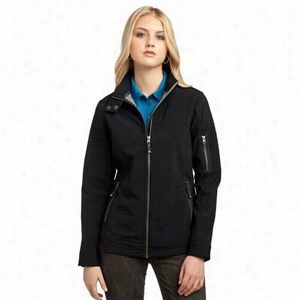 The Infinity jacket is highlighted by a zip front, front princess seams, hidden pockets, and coverstitch detail! Made with Certainty antimicrobial technology, which is designed for fit and performance and is made of wrinkle-free, four-way stretch material for an athletic feel! Zip front Front and back shoulder yokes Front princess seams Hidden pockets with zipper closure Back panel, collar, cuffs, and waistband are made of a stretch rib knit 95% Polyester/5% spandex poplin 26� length Always wash all garments thoroughly after each use. EPA disclaimer: Garments featuring antimicrobial technology do not protect users or others against bacteria, viruses or other disease organisms. 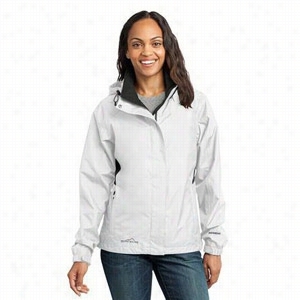 Eddie Bauer Ladies Rain Jacket. Code Happy basic scrub jacket with Certainty. - White - 4X. 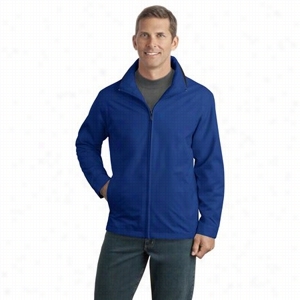 This snap front warm-up jacket is perfect for those cool days in the office! Princess seams, multiple pockets, and bungee I.D. 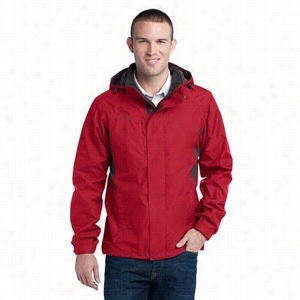 loop highlight this sharp looking jacket. Code Happy is made with Certainty antimicrobial that provides long-lasting freshness and reliable protection against bacteria. Snap front closure Princess seams Multiple patch pockets Bungee I.D. loop Hidden logo tape with plastic key clasp inside left pocket Rib cuffs Signature mesh binding at the back neck 63% polyester/34% Cotton/3% spandex poplin 28� length Always wash all garments thoroughly after each use. EPA disclaimer: Garments featuring antimicrobial technology do not protect users or others against bacteria, viruses or other disease organisms.